Canva is one of the best social media graphic design tools on the web. It has an active community of over 10 million users worldwide and one of the most popular uses for Canva is social media content design. But is Canva the only useful graphic editing tool for social media marketers? To help you save a bunch of time discovering and researching tools, we’ve shortlisted a handful of Canva alternatives here. The first Canva alternative on our list is Easil. 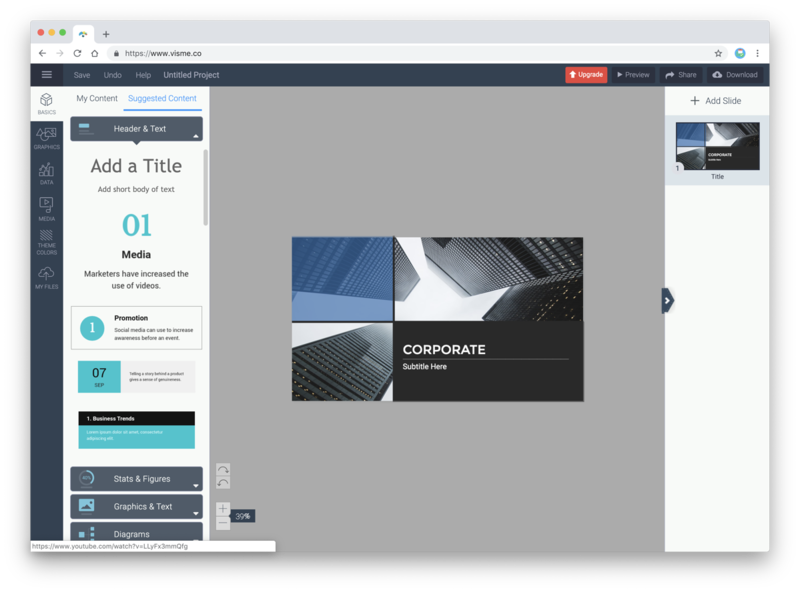 Easil has a very similar feature set to Canva, providing a range of templates to get you started on your marketing collateral and online content. 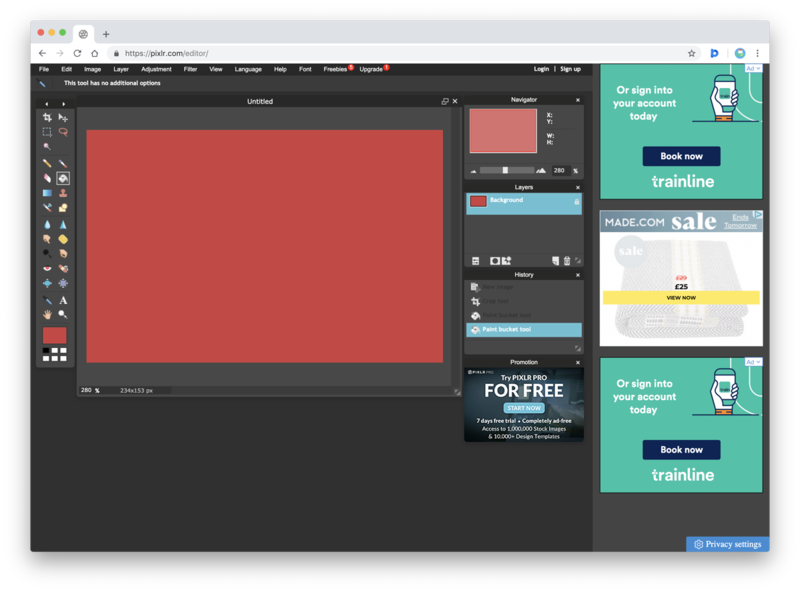 Though despite having templates, Easil doesn’t have quite as many options as Canva, but if you have a keen eye for design this isn't a huge issue. Easil allows you to add graphics, stock images, your own images, text effects, all within the Free plan. 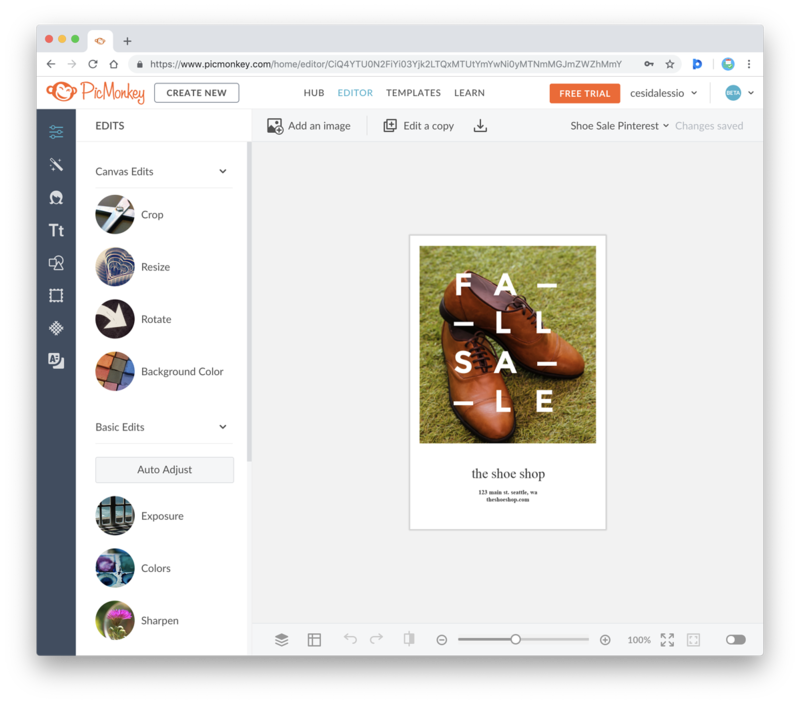 One of the killer features that separates Easil from other tools is the layer abilities each design has, allowing the editor to modify each layer without having to move and shuffle each design, which is something that many Canva users struggle with. One of the aspects that makes Easil different from Canva is its design assist service allowing users to get assistance from a professional designer to help them take their designs to the next level all — this is extremely useful for those looking to keep to brand guidelines, color ranges and more. The Free plan is similar to Canva's offering, but prices for Premium plans start from $9 per month, versus Canva’s $12 per month. Developed by the team at Buffer, Pablo aims to help you create engaging images for your social media accounts. If you’ve heard of Buffer before, it’s most likely because you use their social media scheduling software or have heard of others using it, so you know this tool is coming from a good home. Pablo doesn't quite have a feature set as full as Canva, but for those looking for nothing-but-the-basics, Pablo will serve you well. 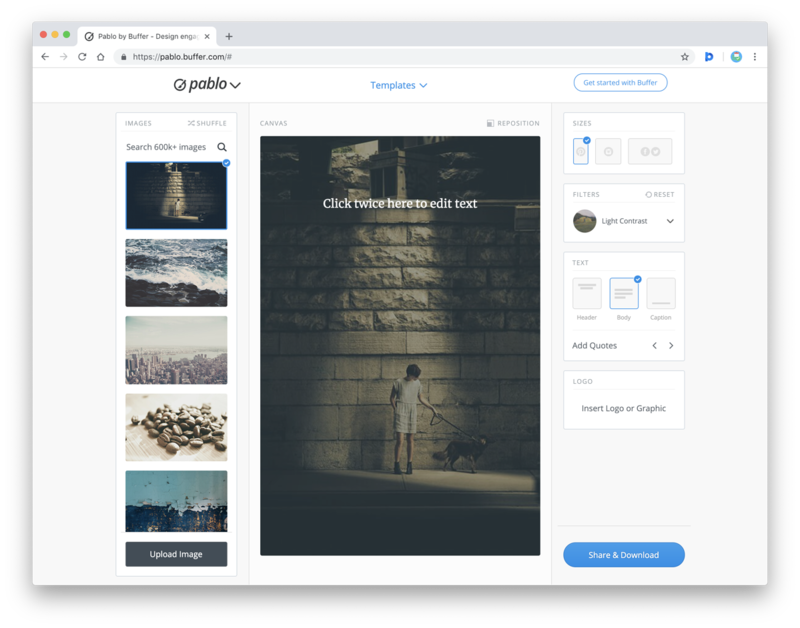 The speedy nature of creation is one of Pablo’s top features that many people enjoy — within 30 seconds of arriving at Pablo you could have your image exported and ready to publish. Pablo is also built with the ideal social media image sizes in mind. Another notable feature is you don’t need to sign-in to an account to use this tool. Though this can also be seen as a negative as your work is stored on tools like Easil and Canva. Pablo is really ideal for beginners and a good starting point for short and sweet social media posts. A veteran of the online design space, Fotor, launched in 2012. It specialises in creating collages for your social media channels, with a range of high-quality custom templates for collage-based designs. Whilst Fotor does allow you to design your own designs, it is more suitable for social media managers looking to create photo-based graphics, and enhance images (for example event photos, customer testimonials). 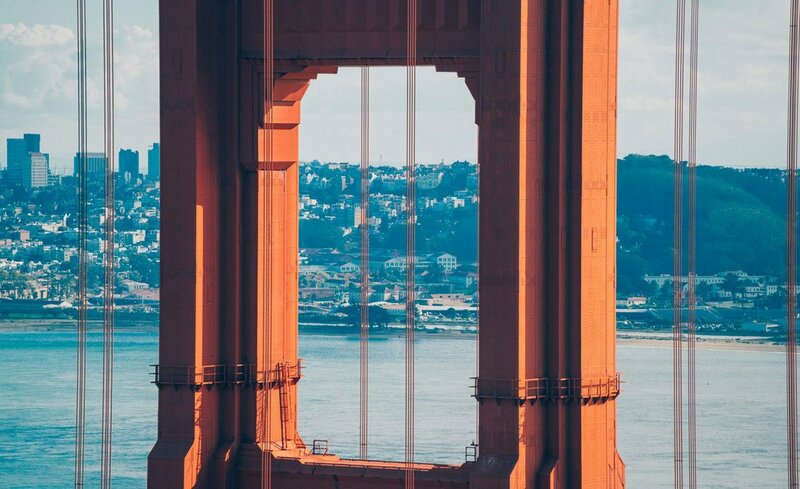 Pixlr, like Fotor, is designed mainly for editing photos. Pixlr is one of the more advanced tools for editing images and unlike Canva, you won’t be getting a host of templates to kick your journey off, so you might need a bit of design knowledge to get the most out of this tool. The Pixlr editor is free to use and it also offers Pro options (starting at $5/month) that enable users to import and edit PSD templates. 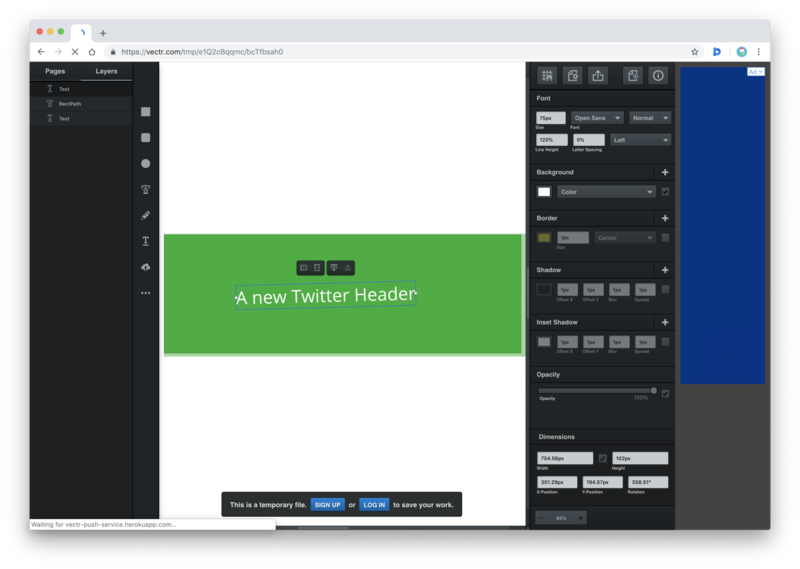 Vectr is a free online graphic editor with a lot of freedom. 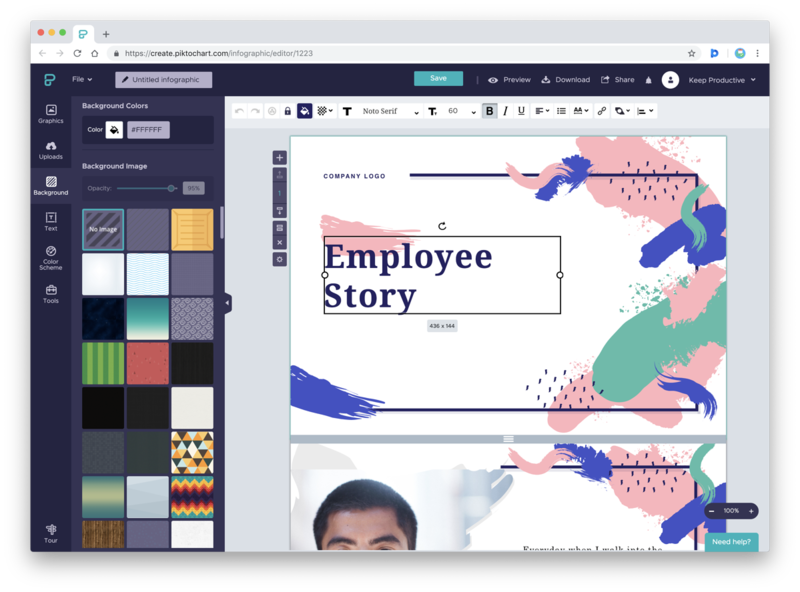 Unlike Canva, Vectr prides itself on an open plan editing experience giving users total creative freedom like you'd experience with design software like Photoshop or Sketch. One of the standout features is the ability to share URLs for your designs. This is perfect for checking with team members and getting feedback on your work. 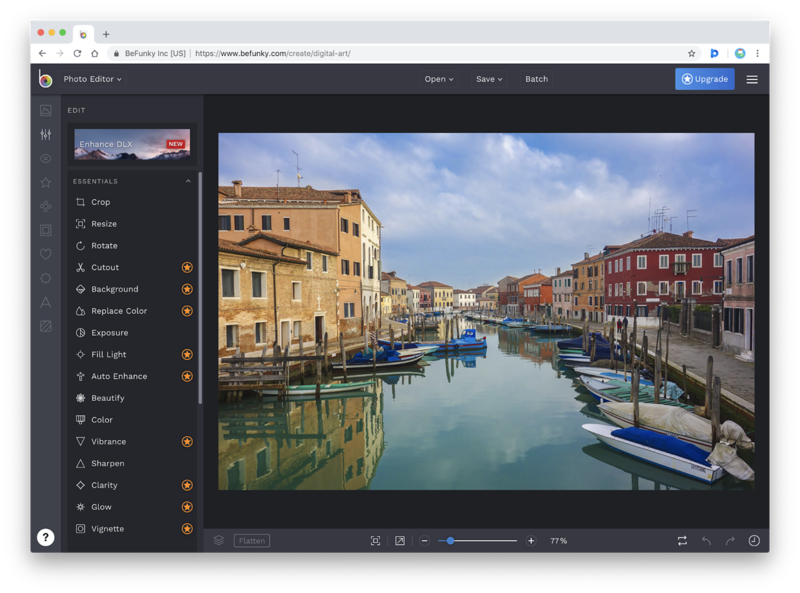 You can download Vectr for Windows, Linux, Chromebook and design on Web too. 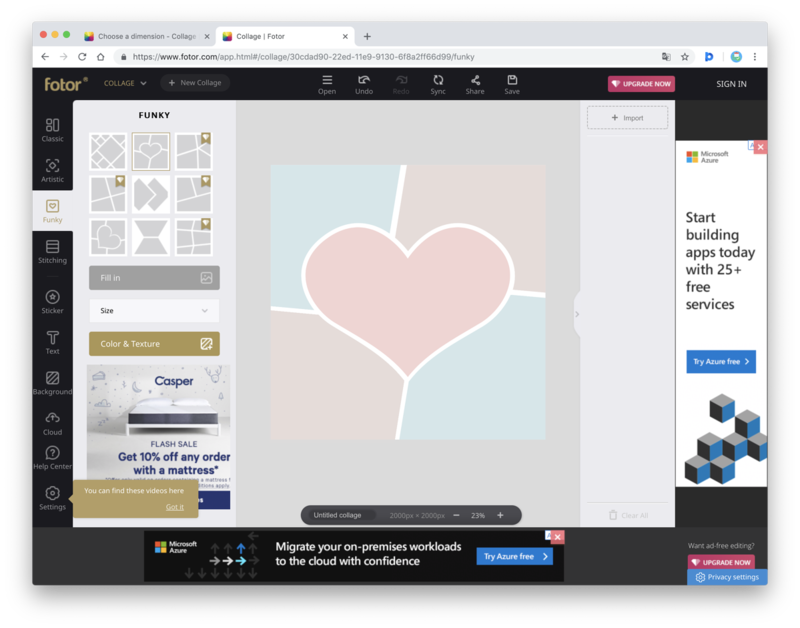 If you’re looking for a desktop-grade design, with freedom to use on the web from any computer, Vectr could be the perfect tool for you. .
Another veteran of the design space, PicMonkey has been a favourite of social media managers since the early days of Instagram. PicMonkey specialises in photo editing and collages. Unlike Fotor and Pixlr, PicMonkey allow you to edit using templates from the get go. The designs are perfect for social media managers, light and easy to use allowing you to adjust many of the photo elements and even add graphics and text to any image. Once you have an account with PicMonkey, you get access to your own hub to organize your templates, plan your graphics and find inspiration. PicMonkey is one of the closest experiences to Canva, allowing basic editing of graphics for social media images too. Crello includes an inspiration section too, allowing you to start creating graphics for occasions and events. For example, if you’re looking to create your own Valentines Day Facebook post, you’ll find some great examples there. Very similar to PicMonkey, BeFunky allows social media managers to design from templates. With BeFunky you have plenty of ways to edit your photos whilst retaining the originality of the image. BeFunky is a very good option for social media designers and could also help you create other marketing collateral like posters and flyers too. It's strong when it comes to photo editing as well. Piktochart is a favourite for marketers that love infographics but it's also handy for designing social media posts. This online editor allows you to turn simple information into easy-to-consume graphics with plenty of color. It also has a number of templates to work with. The editor is surprisingly easy-to-use and with 32 million charts and infographics created on Piktochart, it’s becoming very popular. Visme is great alternative to Canva. It allows you to create presentation-like graphics for showcasing data or information to your social media audience. Visme prides itself on data visualization and isn’t as packed with templates like Crello and Canva. This is the ideal tool for creating nice, data-focused graphics for your audience. Want to take your content to the level? 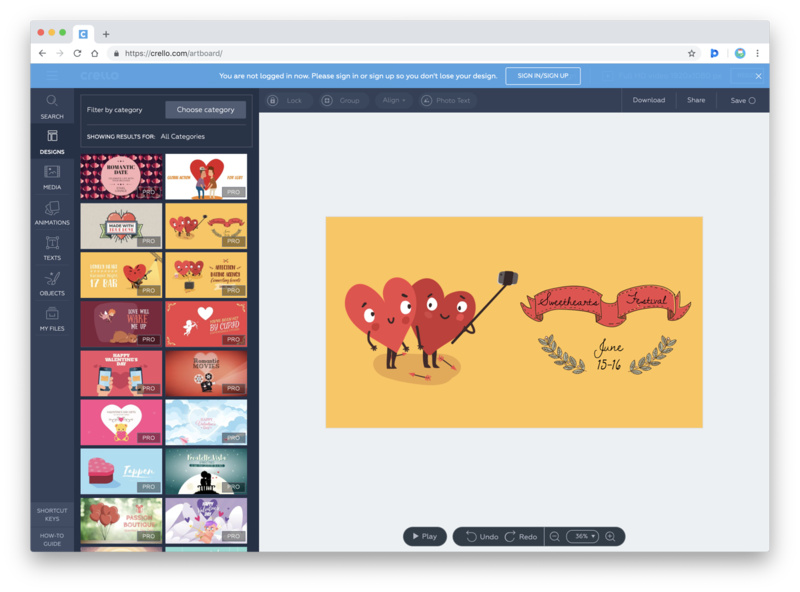 Many social media marketers are looking for ways to boost engagement with moving image-based content and Animaker provides you with a simple way to create animated graphics and GIFs for social media. 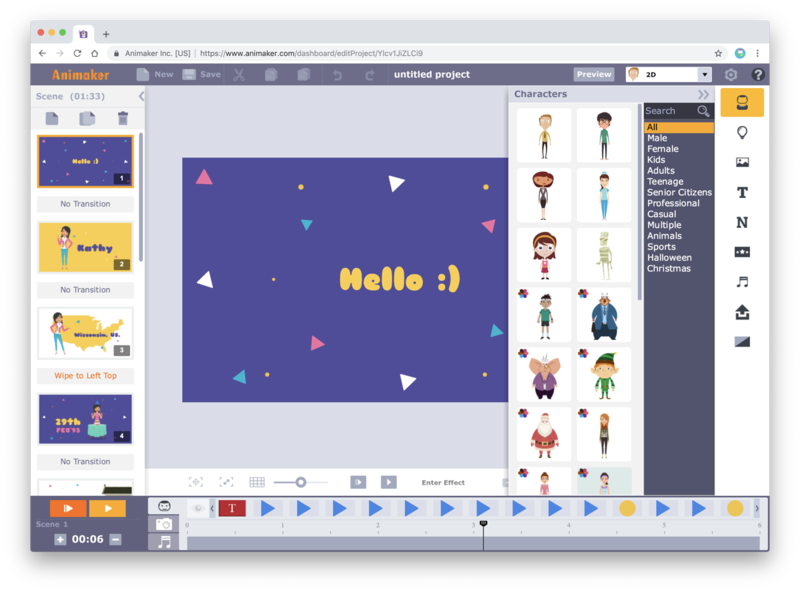 Animaker could take a little more time than using a static image creator (like the tools listed above) but if you have the additional 30-minutes or want to experiment with animated graphics it could be worth your effort. Remember: Video and moving image content performs better on social than many other formats of content. With video surpassing blogging in 2018 as the most engaging format of media online. (Hubspot, 2018). Why so many people love Canva? 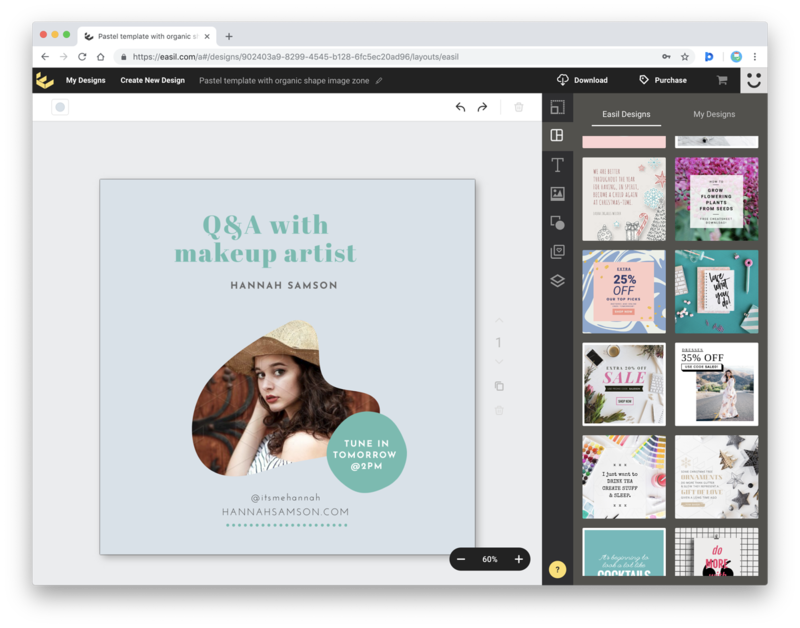 All of these recommendations are great Canva alternatives, but Canva is also a really well crafted tool — and one that many people recommend for creating social media content. A range of fonts, colors, graphics and frames. Export abilities including PDF, PNG, JPEG and many more. What are your favorite social media design tools and Canva alternatives? Let us know in the comment section right now!